This Privacy Statement outlines the personal information we collect and how we use that information to provide you with a personalized, relevant, user-friendly experience on Ancestry.com, Ancestry Academy (located at www.ancestry.com/academy), Fold3.com, Newspapers.com, the Ancestry mobile application and any other websites and mobile applications that link directly to this Privacy Statement (together, the "Websites"). This Privacy Statement applies to visitors and new users registering on any of the Websites on or after January 25, 2016 and to all users already registered or subscribing to any of the Websites on or after February 25, 2016. For the previous version of the Privacy Statement click here. Ancestry's mission is to help everyone discover, preserve and share their family history. We accomplish this by using the resources available on our Websites and also through collaborating with our extensive number of users around the world. This involves the collecting, processing, storing and sharing of personal and non-personal information. We are committed to ensuring that this is done in a responsible, transparent and secure environment that fosters your trust and confidence. As part of our commitment to you, we have developed this Privacy Statement to describe how we gather and use the information we receive from you on the Websites. Before you use the extensive databases of records and other services provided by the Websites (hereafter, the "Service(s)"), please review the information below to familiarize yourself with our policies. You should visit our Privacy Center to learn more about our approach on privacy. By using any of the Websites you consent to the collection, processing, use, storage, transfer and disclosure of personal information by Ancestry.com Operations Inc. the company that owns and operates the Websites, either directly or through its subsidiaries (collectively, "Ancestry," "we," "us" or "our"), its group of affiliated companies ("Group Companies"), and contracted third parties and agents in accordance with this Privacy Statement. As a reminder, by registering with any of the Websites you are becoming part of the "Ancestry Community" a collaborative resource in which the users of the Websites and other websites, mobile applications and platforms owned or operated by Ancestry and its Group Companies (including such sites as ancestry.com, ancestry.co.uk, ancestry.com.au, archives.com, ancestry.ca, findagrave.com) can communicate and exchange family history related information with each other. Please be aware that some sites may have some additional specific policies or different functionality and you should read and understand these before using the relevant services. Ancestry has received TRUSTe's Privacy Seal signifying that this Privacy Statement, our practices, and our websites have been reviewed for compliance with the TRUSTe program viewable here or on the validation page available by clicking the TRUSTe seal. TRUSTe's program does not cover information that may be collected through our mobile applications or any downloadable software that may be available on our websites or from third party sites, which are covered by their own privacy statements, which you should review. TRUSTe's program only covers Ancestry.com, Ancestry Academy, Fold3.com, Newspapers.com, and the Ancestry mobile application and does not cover any other mobile applications or websites. If you have questions or complaints regarding our privacy statement or practices, please contact us via the information below. If you have an unresolved privacy or data use concern that we have not addressed satisfactorily, please contact TRUSTe here. Ancestry processes personal data from countries within the European Economic Area ("Personal Data") on behalf of its Group Companies, and shares Personal Data with its Group Companies and service providers in other countries to process Personal Data on its behalf, subject to and in compliance with (i) the contractual provisions approved by the European Commission decisions 2001/497/EC, 2004/915/EC and 2010/87/EU; (ii) EU Directive 95/46/EC, and (iii) the data protection regime established in Switzerland pursuant to the Federal Act on Data Protection, as applicable. Ancestry also complies with the U.S. - E.U. and U.S. - Swiss Safe Harbor Framework as set forth by the U.S. Department of Commerce regarding the collection, use and retention of Personal Data. Ancestry has certified that it adheres to the Safe Harbor Privacy Principles of notice, choice, onward transfer, security, data integrity, access, and enforcement. To learn more about the Safe Harbor program, and to view Ancestry's certification, please visit http://www.export.gov/safeharbor. Ancestry also processes personal information of its Users who are resident outside of the European Economic Area ("Non-EU Data") on behalf of its Group Companies, and shares such Non-EU Data with its Group Companies and service providers in other countries in order to process such Non-EU Data on its behalf, subject to and in compliance with applicable laws and the standards set forth in this Privacy Statement. This Privacy Statement should be read in conjunction with the Ancestry Terms and Conditions. What personal information does Ancestry collect? How does Ancestry use personal information? Will Ancestry disclose personal information to third parties? How do you report, change or delete personal information about you or your family? What about non-personal information, anonymized information, automatically-generated information, mobile data, "cookies" and social media features? 1. WHAT PERSONAL INFORMATION DOES ANCESTRY COLLECT FROM OR ABOUT YOU? I) NAME, CONTACT INFORMATION AND PAYMENT DETAILS: Users may access some of the areas of the Websites without providing any personal information to Ancestry or its Group Companies. To gain access to certain parts of the Websites, it will be necessary to create a registered user account by providing your name, email address, and a password. To gain full access to the paid members-only areas (including through a free trial), Ancestry also asks for your postal address and payment details (such as a credit or debit card number) to facilitate payment and fulfillment for any subscription or purchases you may choose to make through the Websites. The amount of other personal information you decide to submit to Ancestry or its Group Companies is up to you but understand that your experience of the Websites may suffer, and certain of the Websites and Services or their features may be inaccessible or ineffective, if you choose to provide no additional information. II) YOUR BACKGROUND, INTERESTS, AND ACTIVITY ON THE WEBSITES: As a User, you can choose to share certain information about yourself, such as your age, gender, background and interests with other Users, such as in your user profile. The amount and type of information you share in this way is entirely your choice. Information about some of your activity on the Website, such as historical records you save or Ancestry Academy courses you've taken, may also be shared with others in order to help you connect with others performing similar research. The information that you input about yourself on the Websites may result in the creation of a profile about you. You have some control over your profile, such as whether other users on the Ancestry Network can search for or contact you, on your Account page. See Managing your privacy settings below for more information on how you can edit or control what you allow other Users to see about you and your activity on the Websites. III) YOUR FAMILY AND OTHERS: You may also post personal information about yourself and others in the course of doing research on our Websites, e.g., adding a photo, adding information about a historical person, creating family trees, or sharing a photo with another User through our Services. You must obtain the consent from the living persons about whom you want to post personal information on the Websites, or, if the person is under the age of 18, the consent of their parent or guardian. Similarly, others may post personal information about you in the course of conducting research on our Websites or elsewhere on the websites of our Group Companies. Please note: Ancestry also publishes records on its Websites that it has obtained from many sources, with appropriate consents and permissions where relevant. Some of these records may contain personal information that relates to living individuals, which may include you or your family members, usually from public record sources. Ancestry and its affiliates and agents take reasonable steps to assure that the documents do not include sensitive, personal information about living individuals. See our Privacy Center for more information. IV) YOUR OPINIONS AND COMMENTS: If you post any comments on the Websites or participate in community discussions, chats, communications with us or between you and other Users, in disputes and while communicating with member services, Ancestry will capture that information. You should be aware that any information you provide in these areas can be read, collected, and used by others who access them. V) THIRD-PARTY DATA: We may also receive information about you from third parties. For example, we may supplement the data we collect with demographic information from third parties. We may use such data to enhance, improve, and customize our products and Services, or for any other purpose described in this Agreement. VI) SOCIAL NETWORK SERVICES: You also may be able to link an account from a social networking service (e.g., Facebook) to your account on our Websites. This will allow you to use your credentials from the other site or service to sign in to certain of our Websites or register for an Ancestry account. For example, you can log in to Ancestry.com using Facebook Connect. As another example, if you use our mobile applications, we may ask you to connect to your Facebook account - if you agree to do so, we will display, share or otherwise use information received from Facebook pursuant to Facebook's Platform Policy. We may also use similar offerings from other social networks or Internet services to allow you to access the Websites and Services after having authenticated your credentials through them. VII) MINORS: Our Websites and Services are intended for adults. Ancestry relies upon parents or guardians 18 years of age or older to determine if the Websites and Services are appropriate for use by individuals under the age of 18. When a minor uses the Websites, the parent or guardian of that minor will be held responsible for the minor's actions and are deemed to have consented to the use of the minor's information by Ancestry. Use of the Websites by children under the age of 13 is prohibited. We do not knowingly seek or collect personal information from children under the age of 13. If Ancestry becomes aware that we have unknowingly collected personal information from a child under the age of 13, we will delete such information from our databases. Persons under the age of 18 may request removal of information or content that they have posted per the procedures described in Section 5 below. 2. HOW DOES ANCESTRY USE PERSONAL INFORMATION? Any personal information you provide us or that we otherwise collect is transferred to, stored and processed in the United States or in other countries where we, our Group Companies, or service providers maintain facilities. We take measures to ensure adequate safeguards for personal information and that your personal information is stored and processed in compliance with this Privacy Statement and applicable laws. By allowing us to collect personal information, you specifically consent to such transfer, storage, and processing of that personal information. Please be aware that any personal information you elect to put on our Websites may be made available elsewhere within the Ancestry Community and may be visible to both registered and non-registered Users of the Websites, subject to your rights to control or remove certain information, as provided below. I) TO PROVIDE THE SERVICES: We primarily use personal information to provide you with relevant information such as appropriate search results and instructional materials, to provide you with information about content releases and product updates, to help you and others discover more about your family histories, to provide informational updates that you have requested through the Websites, or to address customer service needs and requests. Ancestry may also use personal information to let you know about new features, other Users' activity on the Websites, or other offers of interest from Ancestry. We also use personal data to fulfill the purposes for which you have provided the personal information, such as processing your subscription. See Managing your privacy settings below to learn how you can opt out or change your settings. II) VERIFICATION: We will use personal information to verify your identity so that you can carry out transactions through the Websites, such as changing your account information, retrieving a forgotten username or password, or completing financial transactions relating to payments you make online. III) FOR INTERNAL BUSINESS PURPOSES: In order to improve the Websites and the Services (or to develop new products and services), we may use personal information for internal data analysis, studying how our Websites are used, identifying usage trends and determining the effectiveness of promotional campaigns. IV) TO COMMUNICATE WITH YOU: Ancestry may communicate with you for the purpose of informing you of issues with your membership or changes to Ancestry or of any Ancestry-related products and services. Our communications with you will generally be via email, but may be made via telephone, direct mail, by posting on our Websites, or other methods of communication. You may also receive promotional offers from Ancestry or other third parties trusted by Ancestry. If you do not want to receive promotional emails, you may opt out at any time by using the unsubscribe link listed in the email or see Managing your privacy settings below to learn how you can opt out or change your settings. If you have registered for more than one of the Websites, you may have to opt out or unsubscribe on each Website separately. For example, if you are registered on Newspapers.com and Ancestry.com, you will need to opt out on both sites separately. If you wish to opt out of other methods of communication, please contact us by the contact information below. V) TO DISTRIBUTE ADVERTISEMENTS: Ancestry strives to show you relevant advertisements. To that end, we use the information you provide to us, aggregated demographic information (such as women between the ages of 45-60), anonymized data compared to and supplemented by data from third parties, or the placement of cookies and other tracking technologies (as discussed in more detail below). In these ways, Ancestry can display relevant ads to appropriate users either on our Websites, other Ancestry Community sites, or on third party websites. We do not provide advertisers with access to your individual account information. Ancestry does not sell, rent or otherwise distribute the personal information you provide us to these advertisers unless you have separately given us your consent to do so. VI) TO SHOWCASE YOUR CONTRIBUTIONS: We may sometimes wish to highlight our Users' contributions to the Websites and may include your contribution in a highlighted section of one of the Websites. When we do so, we will attribute your contribution and provide a link to your profile on the appropriate Website. 3. WILL ANCESTRY DISCLOSE PERSONAL INFORMATION TO THIRD PARTIES? Ancestry will not disclose any personal information to third parties except as described below. Third parties acting as our agents who receive personal information from us have committed to confidentiality obligations that are consistent with this Privacy Statement and applicable laws. I) TO GROUP COMPANIES: We may share personal information with our Group Companies so that they may use personal information for the purposes described in this Privacy Statement, to provide the additional services of those Group Companies, and for the purposes of connecting you to users of the other websites operated by the Group Companies. Ancestry is responsible for the management of the jointly-used personal information. The Group Companies are subject to this Privacy Statement or similar privacy statements. Additionally, as our business continues to grow and change, we might restructure, buy, or sell subsidiaries or business units. In these transactions, customer information is often one of the transferred assets, remaining subject to promises made in then prevailing privacy statements, and, accordingly, we may transfer personal information in connection with such transactions. Also, in the event that Ancestry, or substantially all of its assets or stock are acquired, transferred, disposed of (in whole or part and including in connection with any bankruptcy or similar proceedings), personal information will as a matter of course be one of the transferred assets. II) OTHER USERS: On some of the Websites, you can give others permission to view and edit personal information about you. The choice to share your information is at your sole discretion. For example, on Ancestry.com you can choose to invite family or other members of the Ancestry Community to view and edit your family tree. Please click here for more information. III) SERVICE PROVIDERS: Under the protection of appropriate agreements that require adherence to confidentiality obligations consistent with this Privacy Statement, we may disclose personal information to service providers we use to perform various tasks for us including for the purposes of data storage, consolidation, retrieval, analysis, or other processing, as well as effective management of customer information and to help us communicate with you. For example, we use vendors to process payments from you and to help manage our Websites and relationships with you. These third parties include affiliated and unaffiliated service providers in the United States, Europe and in other jurisdictions. IV) THIRD-PARTY ADVERTISING PARTNERS: We may use third-parties to display or serve advertisements on our behalf on our Websites or elsewhere on the internet. These third parties may set their own cookies, pixel tags, or similar technologies on our Websites to collect information about Users' online activities over time and across different websites and applications in order to make our ads more relevant to you. V) SOCIAL NETWORKING SERVICES: We have worked with certain third-party social media providers to offer you their social networking services through our Services. For example, you can log in to the Ancestry.com site using Facebook. Click here to read more. In addition, if you use our mobile applications, we may ask you to connect to your Facebook account - if you agree to do so, we may display and share your Facebook information pursuant to Facebook's Platform Policy. These social networking services may collect, process, and retain information about you, in accordance with applicable law and their own terms of service and/or privacy policies. If you choose to access or make use of third-party social networking services, we may receive information about you that you have made available to those social networking services, including information about your contacts on those social networking services. Please note: If you click away from our Websites to visit the site of any third party advertiser, sponsor, social media network, or other third party site, you may be asked for your personal information for use of the social media network, or payment card or other personal information in order to purchase or use the products and services that those third parties offer, as applicable. These companies have their own privacy and data collection practices. We have no responsibility or liability for these independent policies. You should therefore review their privacy notices carefully regarding how your information may be used. VI) IN THESE ADDITIONAL SCENARIOS: Ancestry may disclose personal information to third parties in these additional scenarios: (a) with your knowledge and consent; (b) as reasonably necessary to comply with a law, regulation, valid legal process (e.g. subpoenas or warrants served on us) or governmental or regulatory request; (c) as necessary or appropriate to protect the rights, property, safety, confidentiality, or reputation of Ancestry, its Group Companies, or other Users (including outside your country of residence); (d) to enforce our terms and conditions; (e) to prevent fraud or cybercrime; (f) to permit us to pursue available remedies or limit the damages that we may sustain; or (g) as necessary or appropriate to otherwise address unlawful or harmful activity. If we are going to release your personal information to law enforcement, we will do our best to provide you with notice in advance by email, unless we are prohibited by law from doing so. In addition, we reserve the right to withhold advance notice where it would impede an investigation of identity theft, or in situations involving imminent physical harm or harm to minors. To manage your privacy settings on Ancestry.com, Ancestry Academy, the Ancestry mobile application, or any other mobile applications, please click here. Also, to learn how to manage the privacy settings for any family trees you have created on Ancestry.com, please click here. To manage your privacy settings on Fold3.com, please click here. To manage your privacy settings on Newspapers.com, please click here. To manage your privacy settings for other Websites, please visit the account section of a website or the settings section on our mobile applications. If you have any questions about how to manage your privacy settings for any Websites, please contact us by the information below. 5. HOW DO YOU REPORT, CHANGE OR DELETE INFORMATION ABOUT YOURSELF OR YOUR FAMILY? I) REMOVAL OF PERSONAL INFORMATION FROM PUBLIC RECORDS. You should be aware that personal information may be publicly available through public record sources such as census records or birth, marriage and death records. Unfortunately we are not able to change the information in public records published on our Websites and you need to contact the entity responsible for such records. We will however consider requests for removal of personal information from the searchable indexes of the records we hold on a case-by-case basis. II) DELETING OR AMENDING YOUR PROFILE AND OTHER INFORMATION YOU'VE CONTRIBUTED TO THE WEBSITES, ADDED OR SAVED TO YOUR ACCOUNT. Users of the Websites may update, correct or delete their User profiles online. Requests to delete personal information that you have provided as part of your User profile or subscription or from our blog or community forum should be submitted at https://support.ancestry.com/s/contactsupport and should include a request to remove the information, the exact wording of the information as it appears on the Websites, and the URL where that information is found. 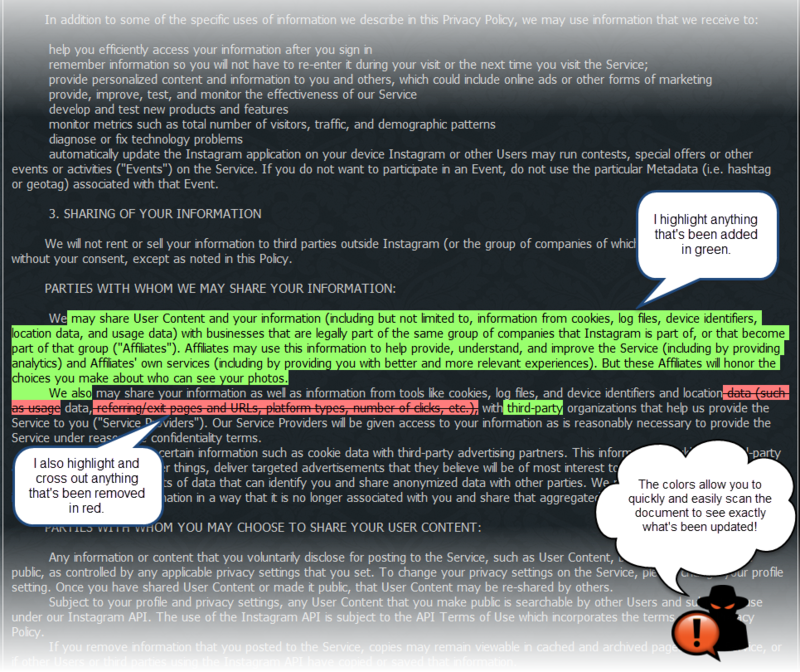 You may also edit or delete personal information that you have previously submitted on the Websites as User Provided Content (as defined in our Terms and Conditions) (such as, for example, family trees that you have created or uploaded) through the applicable features of the Services; please see our Privacy Center for further instructions. However, please note that where you delete User Provided Content copies of that information may remain viewable elsewhere to the extent any such copy has been shared with others, was otherwise distributed pursuant to your privacy settings, or was copied or stored by other Users or other members of the Ancestry Community. Additionally, we may retain certain information (whether submitted as part of your User profile or subscription or otherwise as User Provided Content) to prevent identity theft and other misconduct, fraud or illegal activity; in response to a legal request (such as, for example, a search warrant, court order, or subpoena); if we otherwise have a good faith belief that the law requires us to do so; if we have reason to believe there has been a violation of our Terms and Conditions; or otherwise prevent harm; in each case, even if deletion has been requested. However, such information shall not be available to others via the Websites except as otherwise provided under this Privacy Statement or as required under applicable laws. If you disconnect a third party application or website from our Websites, we will no longer provide them with access to your User profile(s) or subscription information through our platform. III) THIRD PARTY CONTENT. Ancestry also permits its Users to post comments, upload documents, annotate historical records and to contribute other information through the Services. Although our Terms and Conditions prohibit Users from posting content that violates the privacy rights of others, Ancestry and its Group Companies disclaim any responsibility for User Provided Content. It is possible that another User will save, post, or re-post information about you. IV) BACKUP COPIES. Removed and deleted information may persist in backup copies for a reasonable time for our internal business purposes but will not be available to you or other Users. V) CONCERNS? If you have concerns or issues about any personal information that is contained on the Websites, including if you believe that a document published by Ancestry violates your privacy rights, that a User has posted personal information about you that violates your rights, or an unauthorized profile of you has been created, please contact us via the information below and we will attempt to resolve the matter quickly. For your protection, we will only implement such requests with respect to the personal information associated with the particular email address that you use to send us your request, and we may need to verify your identity before considering your request. Ancestry places great importance on the security of personal information. We have security measures in place to attempt to protect against the loss, misuse, unauthorized access, modification, or disclosure of User data under our control. Our security and privacy practices are periodically reviewed and enhanced as necessary. For example, we restrict access to personal information to authorized personnel. We use secure server software to encrypt financial information you input before it is sent to us. In addition, we use encryption when transmitting geo-location data on your mobile device, as well as other administrative, technical, and physical controls to prevent against loss, misuse, or unauthorized alteration of your data; however, we cannot guarantee and we do not warrant that loss, misuse, or alteration of data will not occur, and we are not responsible for the theft, destruction, or inadvertent disclosure of your information. Information security is a shared responsibility: it is important for you to guard against unauthorized access to your passwords and the unauthorized use of your computer. 7. WHAT ABOUT NON-PERSONAL INFORMATION, ANONYMIZED INFORMATION, AUTOMATICALLY-GENERATED INFORMATION, MOBILE DATA, "COOKIES" AND SOCIAL MEDIA FEATURES? I) NON-PERSONAL, ANONYMIZED, AND AUTOMATICALLY-GENERATED INFORMATION. When you visit our Websites, we may collect information from or about you that does not personally identify you ("Non-Personal Information"). This includes demographic data, year of birth or age groups, geographic areas, and gender. This also includes computer-generated data that we automatically collect, such as the website from which you have come to our Websites, your Media Access Control address, your computer type, screen resolution, operating system version and Internet browser, as well as information based on your interaction with the Websites, such as web log information, page views, and IP addresses on an anonymized basis. We use your IP address, your device type, your website interactions, and other Non-Personal Information to deliver the Websites and our Services to you and to help diagnose problems with our servers. This technology helps us to, for example, compile aggregated statistics about our Users and their use of the Websites. We use these statistics to improve the design and content of the Websites, to prepare and deliver our marketing programs, and for research and other purposes. We may also collect or create anonymized information, which is information that has been stripped of information that traditionally permits identification of specific individuals, such as names and full dates of birth, and/or that has been aggregated in a manner so that you and other Users are not personally identified. Non-Personal Information may also include data that is aggregated or otherwise de-identified from personal information that we have collected from you. Because Non-Personal Information and anonymized information do not personally identify you, we may use either or both for any purpose, including sharing that information with our Group Companies and with other third parties. In some instances, we may combine Non-Personal Information with personal information; however, if we do combine any Non-Personal Information with personal information, the combined information will be treated by us as personal information, as long as it is combined, and its use by us will be subject to the terms applicable to personal information under this Privacy Statement. II) MOBILE DATA. If you access the Websites using a mobile device (e.g. your phone or tablet), we may collect mobile device identifiers such as the device type, IP address and the operating system. We use mobile analytics software to allow us to deliver you the Websites and the Services and better understand the functionality of our Websites and Services. For example, if you are accessing the Ancestry mobile application, this software may record information such as how often you use the application, the events that occur within the application, aggregated usage, performance data, and from where the application was downloaded. We may link the information we store within the analytics software to any personally identifiable information you submit within the mobile app for internal purposes or to communicate with you. Our Websites may also collect other information from your mobile device, such as your geographic location, with your permission. For example, if you use your mobile device to take a photo through the Ancestry mobile application, we will ask if you wish to include your location. If you agree to this request, we will add your location to the photo. We will also occasionally send you push notifications to provide you information about our services. You may opt-out of these notifications through the settings on your mobile device. We and third parties with whom we partner to provide features on certain Websites use Local Storage (LS) such as HTML5 to collect and store content information, preferences, or data about your use of our Websites. Various browsers may offer their own management tools for removing HTML5. IV) SOCIAL MEDIA FEATURES. Our Websites may include social media features, such as the Facebook "Like" button and widgets, such as the "Share this" button or interactive mini-programs that run on our site. These features may collect your IP address, record which page you are visiting on our site, or set a cookie to enable the feature to function properly. Social media features and widgets are either hosted by a third party or hosted directly on our Websites. Your interactions with these features are governed by the privacy statement of the companies providing each such feature. Ancestry strives to show you relevant advertisements both on our Websites and elsewhere on the Internet. Ancestry uses some third parties to show you Ancestry-related advertisements that are tailored to you based upon your interests or online behaviors. Any such targeted ads placed on our behalf will contain information on or near them that informs you about the third party delivering you the ads and how to opt-out of receiving such ads in the future. If you wish to not have your information used by our third party partners for the purpose of serving you targeted ads, you may manage your choices here. Also, visit our Privacy Center here if you want to learn more about targeted advertising or how to opt out of targeted ads from other advertisers, such as Facebook. Please note that opting out of targeted advertising will not opt you out of being served non-targeted advertising. Because occasionally the Websites may be partially advertiser supported, you may not "turn off" the advertising that appears on the Website pages. You will continue to receive generic ads that may not be as relevant to you. Also, please note that if you delete, block or otherwise restrict cookies, or if you use a different computer or Internet browser, you may need to renew your opt-out choice. We may occasionally run contests, surveys, or other special promotions on our Websites in which we ask Users for personal information (like an email address or name) or demographic information (like a zip code, age, or income level). We use this data to run the contests or promotions and send users promotional material about our company or third parties we deal with. Participation in these surveys or contests is completely voluntary and you therefore have a choice whether or not to disclose this information. The participant's contact information is also used to contact him or her when necessary and may be shared with other companies for promotional purposes, but only with your prior permission and under the terms and conditions specified when you take part in the promotion. At any time, you may opt-out of receiving future mailings of this kind by following the unsubscribe instructions in each promotional communication, or simply decline to take part in the promotions. We are committed to complying with all applicable laws and regulations governing the collection and use of personal information. From time to time, Ancestry will review its personal information collection, use, and disclosure practices in order to assure that we are complying with our Privacy Statement and all applicable laws and regulations. If we decide to materially change our Privacy Statement, we will issue an updated version of this Statement with an updated date legend and/or notify you via email, via the Websites or by other appropriate means prior to the change becoming effective. You should review this Privacy Statement regularly to ensure you are familiar with any changes to it. If you do not consent to any changes to our Privacy Statement, YOU MUST STOP USING THE WEBSITES AND THE SERVICES AFTER THE EFFECTIVE DATE OF SUCH CHANGES, and you should notify us here so we can discontinue your account. Some web browsers may transmit "do-not-track" signals to the websites with which the user communicates. Because of differences in how web browsers incorporate and activate this feature, it is not always clear whether users intend for these signals to be transmitted, or whether they are aware of them. Because there currently is no industry standard concerning what, if anything, websites should do when they receive such signals, we currently do not take action in response to these signals. If you have any questions about this Privacy Statement, Ancestry's privacy practices, your dealings with the Websites, or any disclosure of personal information to third parties for direct marketing purposes, or if you wish to request access to and receive information about the personal information we have received from and share about you (noting that your rights to access personal information may be limited in some circumstances), update and correct inaccuracies in the personal information we have about you, have the information blocked or deleted, as appropriate, or oppose (in case of legitimate reasons) the processing carried out with respect to personal information, you can contact us via the information below. We will respond to all access requests within 30 days. For Ancestry.com or any of our mobile applications, please call (800) 262-3787 or send us a message at https://support.ancestry.com/s/contactsupport. If you would like to access your Ancestry.com account details, please click here. For Ancestry Academy, please call (877) 969-0919 or send an email to support@ancestryacademy.com. If you would like to access your Ancestry Academy account details, please click here. For Fold3.com, please call (800) 613-0181, send an email to support@fold3.com, or visit http://www.fold3.com/contact. If you would like to access your Fold3.com account details, please click here. For Newspapers.com, please call (877) 519-0129, send an email to support@newspapers.com, or visit http://www.newspapers.com/contact. If you would like to access your Newspapers.com account details, please click here.